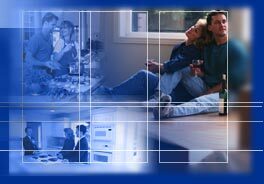 McDermott Moving Company has been a family owned and operated business for over 40 years. We are proud to provide you with the best quality residential and commercial moving services in the entire metropolitan area. As a locally owned company and member of the community, unlike a franchise or large chain, we are operated by managers who have the experience and responsibility to move your home or office while providing a highly trained staff. Founded in 1968 by Bob McDermott and currently owned and managed by Tom McDermott, we offer hands on moving experience ranging from large estate homes, small retirement apartments, large commercial moves such as the Independence School District offices, fragile and heirloom internal moves and museum display set-ups for the Truman Presidential Library, to your small one person office. When you contact us you will be able speak directly with Bob or Tom McDermott who actually know and can answer your questions about moving. Not just book your move. We can help you decide what best fits your needs and budget. We've recently expanded our space to include secure, temperature and humidity controlled storage to keep your items safe and secure should you need a storage option. Free use of wardrobe boxes during your move-means you move your hanging closet items in boxes designed to hold clothing on the hanger from one location to the next. Our crews are trained, uniformed and professional. You can expect them to be courteous and attentive to your moving needs. They will be open to your input and willing to go the extra mile to ensure your satisfaction before they leave your location. Please call (816-254-2443) for information on rates and availability. We will be glad to answer any questions you may have regarding your upcoming move.